Is An Artificial Intelligence Bubble Threatening Software Development? Does it seem too soon to bring up the fate of fintech in 2018? Does it seem too soon to bring up the fate of fintech in 2018? For companies whose entire livelihood depends on the future of payments, it’s never too soon to talk future. This is an industry that stands to gain everything from emerging technologies such as blockchain and the game-changing power of AI. Banks, meanwhile, could stand to lose. It will be interesting to see where the pieces land in 2018. Although EMV chip cards go a long way towards fighting fraud, they’re not perfect. After chip cards were introduced in the UK, “card not present” fraud increased by 168 percent between 2004 and 2014. A chip card doesn’t keep a thief from making purchases online. Expect credit card companies to go the way of Mastercard and look towards AI to increase security. Mastercard purchased Brighterion, an artificial intelligence software company, in July of 2017. Now, Mastercard is using Decision Intelligence AI to analyze consumer account behavior, both to increase security, and to decrease the number of times charges are wrongly declined. Along with this comes “Selfie Pay” for UK customers, which uses facial recognition to allow people to make payments. If it goes well in the UK, Selfie Pay will come to the US, and other credit card companies will follow suit. This seems like a strange development when fintech companies are interested in disrupting the banking industry. But applications for bank charters from two fintech companies, SoFi and Varo, have interested parties wondering if fintech companies are becoming more like banks. Student loan refinancing platform SoFi applied for a banking charter from the Utah Industrial Bank in June of 2017, and Varo applied with the Office of the Comptroller of the Currency (OCC) in July. This move is a nod to regulators. Multiple agencies affect how fintech companies do business state-to-state, and a bank charter from the OCC would remove the red tape. 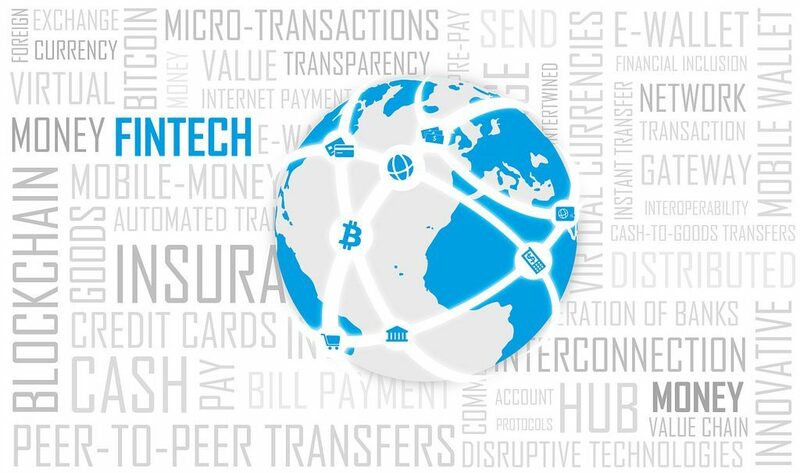 The current comptroller, Keith Noreika, supports creating a Fintech Charter, which would allow fintech companies to do business in all 50 states without applying with each individual state. If Varo (a mobile banking app) is able to get the charter, which looks likely, more fintech companies will follow suit. If you follow most of the mainstream news about blockchain tech, you’d think it’s all about Bitcoin, Ethereum, and the dark web. But there’s more to it as blockchain looks to be a huge game-changer in 2018. Innovation Enterprise reports that VCs threw nearly $1 billion into blockchain startups in 2016, and in 2017 IBM began partnering with China UnionPay to incorporate Watson (IBM’s AI supercomputer) with blockchain and banking. IBM is quite busy with blockchain, and has plans to help large food distributors use blockchain to improve the global food supply chain. Also, in term of the big guys, Microsoft is partnering with Bank of America Merrill Lynch to work towards a blockchain solution for trade finance transactions. 2018 will see how these big projects start to make changes with blockchain, but it will also see independent blockchain startups grow. Expect acquisitions from big tech firms. Can Deep Learning Improve Construction Snag Lists? Among the exciting startups, Singapore-based Otonomos lets entrepreneurs start a company, fund it, and run it on the blockchain. “We increasingly see that the underlying Bitcoin protocol could become a ledger for broader financial assets,” says fintech entrepreneur Han Verstraete. Chain, Inc is going big in the financial assets direction, with an open source blockchain protocol called Chain Open Standard. It’s sort of a Blockchain-as-a-Service. Major banks, stock exchanges, credit card companies, and other financial players will be able to use various applications on Chain Open Standard to conduct their business via blockchain. Chain has raised $43.7 million in equity funding so far. Here in the states we’ll see more fintech apps as startups delve further into verticals and fragments for which banks haven’t developed new tech. We’ll also see more apps from big American firms (such as Amazon) that can acquire fintech startups in Europe. The CEO of Auka, a cloud-based mobile payments platform that develops products for 17 banks, says 2018 will be a year of acquisitions and mergers. The EU’s Revised Payment Services Directive (PSD2) will come into play in January of 2018, meaning “open banking” will take off. This is basically deregulation that will allow fintech companies to use banks’ data and software to cater to consumers with their products. Auka’s CEO predicts tech giants will buy up a lot of fintech startups, because the little guys have products and specialties the giants will need to fully take advantage of PSD2. So, expect to see more fintech products from your favorite American tech behemoths. Dan Matthews is a freelance writer who specializes in tech, business, and finance. You can find him on Twitter @danielmatthews0.